Prince William and Kate Middleton today announced they will marry either in the spring or summer of 2011. Anglesey will be the new home for the Royal couple as they begin married life. William will continue training in the Search and Rescue Unit at RAF Valley, and so it seems a great idea to have the family home close by. There is also a civilian enclave at Anglesey Airport,Valley where Manx2 airlines runs weekday flights to Cardiff Airport. The island is situated off the North Wales coast and is a key transport link between Britain and Ireland, through the port of Holyhead. This unique island in the Irish Sea has a rich maritime history, with some great locations such as Point Lynas lighthouse on the north east coast, which played a key role, with the involvement of ships pilots, in the growth of the port of Liverpool. 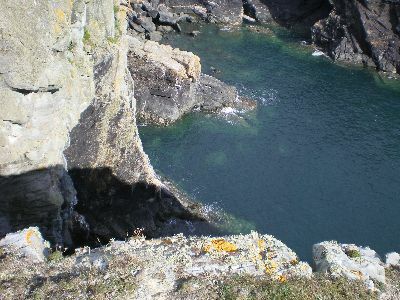 It's also near here that a number of people claim to have spotted some dolphins swimming towards Dulas and Lligwy. I am sure William and Kate will be able to enjoy the spectacular and breathtaking sea and mountain views which can be enjoyed when walking along the 125-mile long Anglesey Coastal Path, with views across to Snowdon and the Lleyn peninsula. The coastal areas have been designated an Area of Outstanding Natural Beauty (AONB) and there are some Sites of Special Scientific Interest (SSSI). Anglesey has also been granted the designation of Geopark theme, so it will be attract visitors who appreciate locations on the basis of their unique geological history. As this is a special romantic occassion for William and Kate, we should remember how the south coast of the island at Llanddwyn is special, for it is claimed St Dwynwen, Welsh Patron Saint of Lovers, lived on the small rocky outcrop of Llanddwyn island. More recently the location was used for some shots in Demi Moore's film Half Light. I am sure the people of Anglesey will wish William and Kate a warm welcome when they make the island their new family home next year. anyone know any TOY as family name?